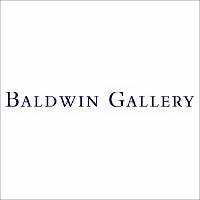 While Quintenz Gallery remains committed to its founding vision—providing art collectors and enthusiasts with museum-quality offerings of original, vintage photographs by American masters like Ansel Adams, Harry Callahan, Robert Frank, and Edward Weston—it now features a landmark contemporary art program. The gallery exhibits contemporary work in traditional and new media by emerging artists as well as internationally acclaimed artists such as James Surls, Luis Gonzalez Palma, Robert Kelly, Betsy Eby, Joseph Scheer, Leslie Wayne, Allison Stewart, Ricardo Mazal, and Daniel Beltra. Quintenz Gallery continues to sharpen and refine its presentation of contemporary artwork with increasingly challenging, beautiful, elegant, and sophisticated aesthetic and technical achievements advanced by the art world’s leading figures. The Joel Soroka Gallery was established in Aspen, Colorado in 1993, the culmination of Mr Soroka's career as a private dealer and avid collector of fine art photographs. Located in Aspen for 20 years, now Joel Soroka has become a private dealer with offices in nearby Basalt, Colorado and is available by appointment only. In inventory are rare and important vintage photographs by historic masters whose work is sought by museums, corporate and individual collectors such as Edward Weston, Dorothea Lange, Brassai, Lewis Hine, Man Ray, Berenice Abbott, Josef Sudek, Brett Weston, Frantisek Drtikol and Ilse Bing, among many others. Also represented are works by renowned contemporary American and International photographers and up-and-coming younger artists personally selected by Joel Soroka for their extraordinary quality and potential value as fine art objects. Artist's include Beatrice Helg, Luis Gonzalez-Palma, Lalla Essaydi, Lynn Bianchi, Frederic Ohringer, Cig Harvey and Franco Donaggio. The Joel Soroka Gallery is a long time member of AIPAD, the Association of International Photographic Art Dealers and exhibits regularly at the annual Photography Show at the Park Ave Armory and other important fine art venues in Miami, Los Angeles and Chicago. The I.D.E.A. program is committed to supporting a culture of learning and exploration both at Colorado College and within Colorado Springs and the Rocky Mountain region by bringing innovative arts exhibitions and experiences to southern Colorado. All exhibitions and associated educational programming are open to the general public. Located in the Edith Kinney Gaylord Cornerstone Arts Center, the I.D.E.A. Space is the home base for Colorado College’s InterDisciplinary Experimental Arts program. A natural outgrowth of Colorado College’s liberal arts philosophy, I.D.E.A. supports Colorado College’s mission to “provide a variety of stimulating environments for intellectual development, creative expression, and personal growth” and extends that mission to encompass the larger community. Through a lively series of exhibitions, speakers, films, workshops, and performances, I.D.E.A. programs seek to integrate the visual and performing arts into the academic and social fabric of Colorado College and the broader community. The Colorado Springs Fine Arts Center was established in 1936, when the John Gaw Meem building debuted. Martha Graham danced on our stage at the first grand opening; Frank Lloyd Wright lectured in our hall. The building is listed on the National Registry of Historic Places. The Fine Arts Center was the first facility of its kind west of the Mississippi to offer arts education, theatre and a museum under one roof. The Center for Visual Art (CVA) is the off-campus art gallery of Metropolitan State University of Denver. In addition to showing significant contemporary art, the award-winning CVA serves as an interactive art laboratory for MSU Denver students and the larger community. The CVA was founded in 1990 to expose students to leading-edge art and to broaden MSU Denver’s art program. The non-profit art space makes an important contribution to visual art offerings available in Denver and the Rocky Mountain West, bringing in art that would not otherwise be seen here. CPAC is dedicated to fostering the understanding and appreciation of photography in all aspects and genres through promotion, exhibition, and education. We aspire to be the premier destination for the photographic arts and to benefit the Western Region’s photographic community by nurturing new talent, expanding concepts, generating skills, piquing interest, and contributing to a sustainable market for collectors and artists. Today’s CPAC is the result of a merger between the “old” CPAC, founded in 1963, and Working With Artists, founded in 2001. 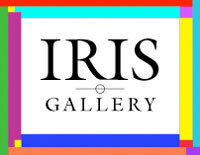 This union of Denver’s two most established non-profit photographic organizations was completed August 26, 2011, and leverages the strengths and vision of the two groups to create a vibrant space for photographic exhibitions and educational programs. RedLine is a diverse urban laboratory where art, education and community converge. Our vision is to foster forms of social practice in the arts that inspire inquiry and catalyze change. The Center for Visual Art is a division of the MSU Denver Art Department. The MSU Denver Art Department is dedicated to providing their students with an unparallel urban learning environment and a strong sense of community within the local art scene. The Center for Visual Art contributes to MSU Denver’s status as the only public higher education art program in Colorado to maintain accreditation from the National Association of Schools of Art and Design. The Open Shutter Gallery is the creation of Margy Dudley, a Durango resident and a photographer herself. Her mission for the Gallery is to exhibit fine quality works by both international and local photographers. Pointing out that photography is an important medium through which many issues may be powerfully addressed, Dudley will include among her exhibits works that address humanitarian and conservation issues. See the Past Shows pages for examples. A portion of the proceeds from the sales of the photographs will be donated by the gallery to support various important causes. She sums up her own passion for photography, saying "the magic of photography is that it captures a moment in time that exists for only a moment and then it's gone." In addition to creating a forum within the Durango community dedicated exclusively to fine photography, the Gallery is also a resource for amateur and professional photographers in the Four Corners area. International travel advetures as well as evening workshops, are available through the Gallery, click the Workshops link above to browse the current offerings of Open Shutter Workshops. Slide shows in conjunction with Gallery exhibits will occur throughout the year. 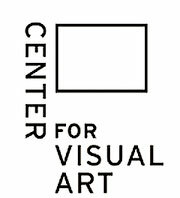 Founded in 2004, The Center for Fine Art Photography is a nonprofit, 501(c)(3) organization that is a preeminent supporter of creative photography. Our aim is to promote a broader understanding of photography's visual, emotional and social impact in society. Since it's inception, The Center has produced high level photographic exhibitions, publications, and educational programs. Beginning with our earliest exhibitions, The Center has worked with both the local community and the international community. We provide opportunities for artists to exhibit their work and for the community to experience topical, challenging, and beautiful imagery from around the corner and around the globe. The Center has a reputation for quality and integrity and has been expanding our community through our website, social media, and brick and mortar gallery exhibitions. CMC Gallery’s exhibits and programs present a lively mixture of educational, contemporary, and historic art, including notable artwork of our faculty, our students, and local community artists. Julie Cardinal is following in her father's footsteps when it comes to photography. She discovered her passion for this art form through tagging along on his photo shoots and helping out in his darkroom. Julie loves the great beauty that surrounds us in this world, and her passion is using her talents to capture that beauty. Opening Hours Monday / Tuesday: Closed Wednesday - Saturday: 12pm - 5pm (Open late on Second Fridays and for special events) From this passion, The DARKROOM, a gallery dedicated to fine-art photography, was conceived. Julie is thrilled to be featuring the work of several talented, fine-art photographers - some of whom have national and international reputations, others who are just making their mark on the world of photography. Currently celebrating its 28th year, the Telluride Gallery of Fine Art is the region's oldest established gallery. Its engaging balance of exhibited works includes those of contemporary American artists, internationally renowned sculptors, painters, and photographers, as well as local and regional artists. The gallery also showcases an eclectic and extensive studio jewelry collection, many of whom are a part of the avant-garde jewelry movement.